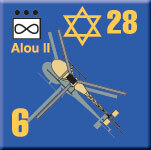 In June 1967, the Israel Defense Forces unleashed a massive assault on their neighbors Egypt, Syria and Jordan. 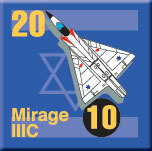 The Six-Day War remade the map of the Middle East; its effects dominated world politics for the next 50 years and will continue to do so for years to come. 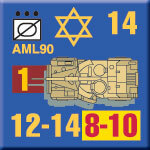 Our Panzer Grenadier (Modern): 1967 Sword of Israel game covers the battles of this war in fifty scenarios. 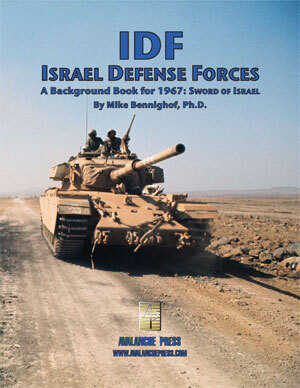 IDF: Israel Defense Forces is a sourcebook describing the war, its participants, their armies and their weaponry. 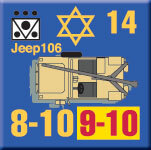 And it has additional pieces of its own: 264 die-cut, silky-smooth pieces displaying the Israeli units from Sword of Israel in an alternative, blue-and-gold color scheme. You don’t have to have these pieces to play the games, but if you’re a hard-core tactical gamer, then you know you have to have these pieces.